Phung Huynh is a Los Angeles-based artist and educator whose practice is primarily in drawing and painting. Her most current work probes the questions of cultural perception and authenticity through images of the Asian female body vis-à- vis plastic surgery. Huynh is interested in how contemporary cosmetic surgery has created obscurity in racial identity and amplified the exoticism and Orientalist eroticism of Asian women. 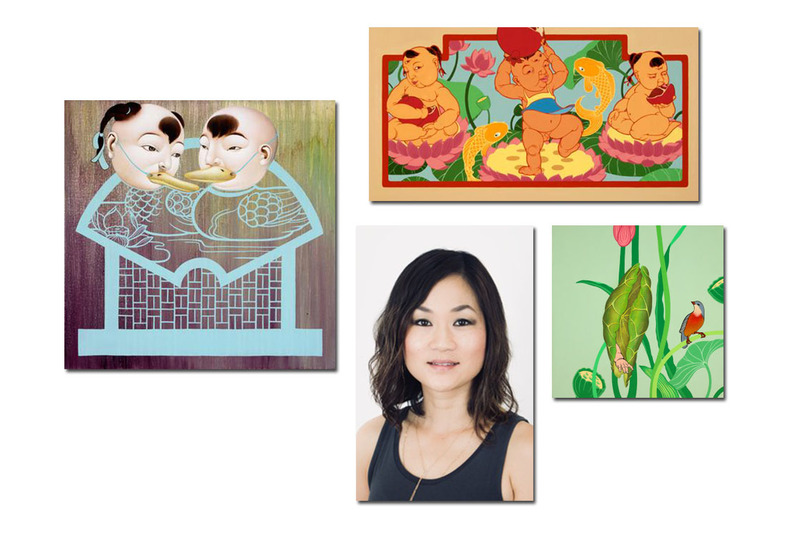 Phung Huynh is represented by CB1 Gallery in Los Angeles and has had solo exhibitions at Gagosian Gallery in Beverly Hills and the Sweeney Art Gallery at the University of California, Riverside. Her paintings and drawings have been exhibited nationally and internationally in countries such as Germany and Cambodia. She has also completed public art commissions for the Metro Orange Line, Metro Silver Line, and the Los Angeles Zoo. Phung Huynh is Associate Professor of Art at Los Angeles Valley College and Chair of the Community-Based Art/ Prison Arts Collective Advisory Council, which advises a vital program of California State University San Bernardino that provides art courses and workshops to underserved communities and prisons. She completed undergraduate coursework at the University of Southern California, received her Bachelor of Fine Arts degree with distinction from the Art Center College of Design in Pasadena, and received her Master of Fine Arts degree from New York University.